Too often companies equate creating a brand with designing a new logo. Sure, that visual mark is a key element of your brand, but so much more goes into it than that. 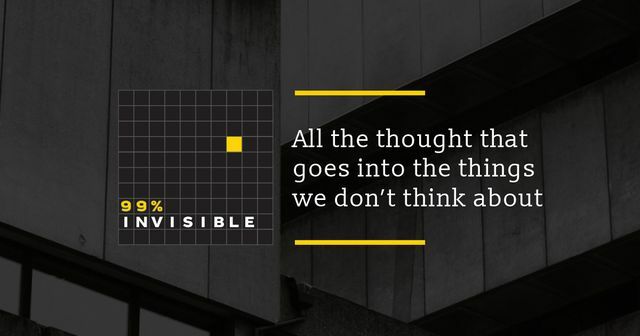 A recent episode of 99% Invisible features a fantastic interview with graphic designer Tom Geismar, who dives into some of the thinking behind developing a visual identity. While he focuses primarily on the logo design phase, he alludes to a long process that begins with client interviews and research. This really struck a chord with me, since I've found this to be the most critical component of work in visual identity development. Obviously the design phase is important, but without a solid foundation of exploration it's impossible to tie the "visual" to an "identity." When building or refreshing a brand, the approach should be multi-dimensional, blending art with science in a highly structured way. Through this, you ensure the brand reflects the organizational core values in a way that resonates most strongly with target audiences. With a sound brand strategy forming the bedrock of your visual identity, you can design with purpose. Your logo, your color palette, your brand accents – every aspect of the look and feel of your brand will bring those core values to life. The graphic representation will be more than just beautiful design, it will convey intention. Though this holistic approach requires more time and effort to work through several phases of the process, it's worth it. In the end, your brand will be more memorable, more meaningful, and connect more with those you aspire to connect with. After all, what is a brand if not a relationship? Is your brand saying all you want it to say? Thinking about a refresh and wondering what milestones you need to hit along the way? Reach out to us at DBL@HotwireGlobal.com. “So it was a great lesson to us,” recalls Geismar, “because suddenly someone who couldn’t understand it as an abstract design now really accepted” it as a representation of their company.